Whatsapp Puzzles #111 - Optical Illusion Puzzle – How many faces can you see in the picture? 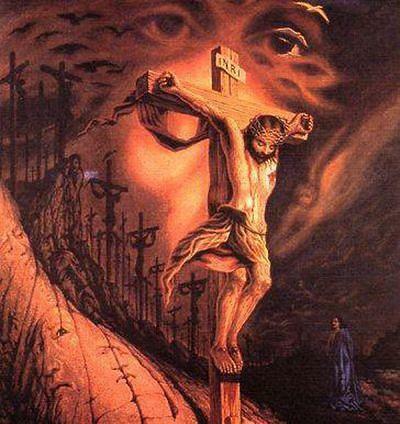 This painting is painted by well known artist Octavio Ocampo, He called it “Calvary”. There are a number of hidden faces in the picture, can you spot the total number of faces in the picture? Calvary is a painting of hope. Christ’s face is heavy with sorrow as he takes on the sins of the world and makes his incredible sacrifice on the cross. Through the face of Jesus suffering, we can see the crucifixion which is the sacrifice Christ made for all humanity. The middle left side of the painting depicts the sacrifices made by Christian martyrs. The day before yesterday Mr Puzzle was 17. Next year he will be 20. How can that be the case? Whatsapp Puzzles #113 - Counting Error Puzzle, Can you help Mrs. Alka? Mr. Sameer a very clever person, he wanted to cheat restaurant owner Mrs. Alka by proving she have calculated his bill wrongly. If Mrs Alka got proven wrong she will have to give complete refund to Mr. Sameer. 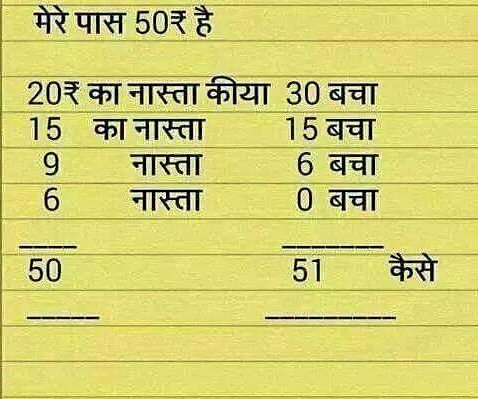 Can you Help Mrs. Alka and prove Mr. Sameer is wrong? Whatsapp Puzzles #114 - How can one live 10 days without sleeping? How can one go 10 days without sleeping? Whatsapp Puzzles #115 - No accident in Darkness, How is it possible? A driver, driving a black car with no headlights inside a black tunnel, and he doesn’t meet with an accident. How is it possible? 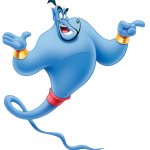 Q: What has a foot but no legs? Q: Poor people have it. Rich people need it. If you eat it you die. What is it? Q: How can a pants pocket be empty and still have something in it?